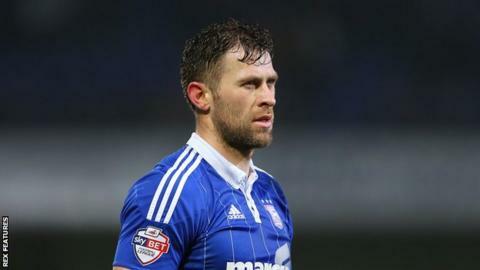 Ipswich Town are waiting to learn the extent of the injury sustained by Daryl Murphy against Switzerland on Friday. The 33-year-old striker has been ruled out of the Republic of Ireland's game against Slovakia on Tuesday after injuring his calf. "He has a tear in his calf, but we have no timescale," Ipswich physio Matt Byard told the club website. "We are looking to get him scanned again on Tuesday," he continued. "We will know more from there." Ipswich face Wolves on Saturday as they continue their push for the play-offs, with the club just four points away from sixth place. "Needless to say, there has to be a concern about him for the weekend," Byard added.